After I had gotten back home to Yokohama after this year’s Winter Cafe I was nothing short of exhausted. Around 330am, I sat down on the couch with Sekinei and we talked a for a few minutes in fatigued excitement about just how big the turnout was. As I slowly recalled the night I tried to formulate some of my thoughts into words but just kept coming up with a blank page; I was truly at a loss for words. 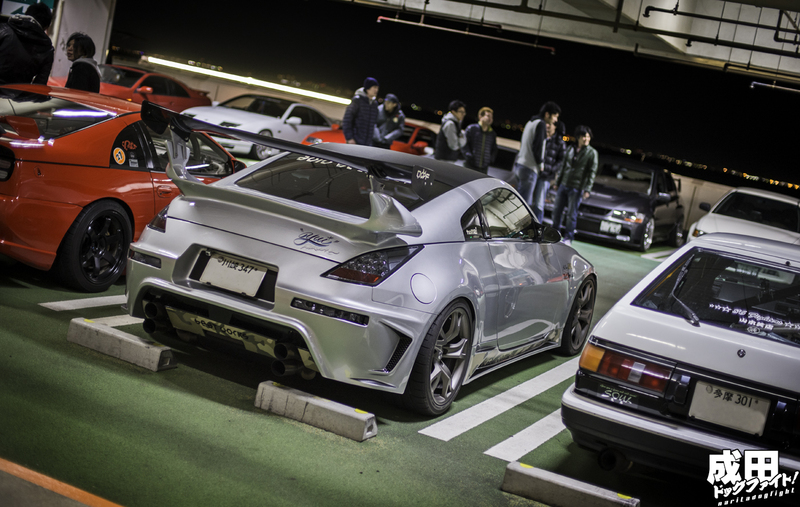 We managed to draw close to 400 cars, and near thousands of people to a parking area in the middle of Tokyo Bay for the simple purpose of enjoying each others company, and sharing what they were passionate about. That in itself was daunting to me as I had no idea of the growth we’ve had over just one year. Friends from all over East Japan came to show support; Nagano, Osaka, Shizuoka, Niigata, and other very far away places. I couldn’t really sleep that night (morning? ), mainly due to my mind still trying to digest the past 5 hours, and probably a small mix of jet lag. I kept thinking about the future of the event, everyone who attended, if I missed greeting anyone, remembering cars that I saw but never got to say hello to their owners, hoping that I had given each friend ample conversation time, etc. Sekinei and I had been so busy greeting everyone and trying to accommodate everyone on either of the PA floors (all parking spaces were filled), and running up and down from the 3rd floor to the bottom level, that I am sure I missed many people that came; the amount of photos I took is actually quite embarrassingly low. For all the thoughts in my head, however, I kept coming back to one; and that is how grateful I am to have so many friends that support me in a country that means so much to me. I had quoted in my initial Instagram post that we ‘often times forget just how much is given to us, in relation to how much we give, and that it’s only through gratitude that we can enjoy life to it’s fullest.’ I stand by that in more ways than one, and rest assured I’ve accepted that NDF would not be what it is today without the support, the friendship, the contributions, and the network of people I know and have reached out to with the site. In that sense, the only thing I can hope for is more of the same, and in return I will keep delivering to you what we have been over the past handful of years. Unfortunately, these photos won’t be in the most desirable order. Because I was running around so much, and trying to talk to everyone, the shots are very sporadic and a lot of time passes between each one. I’ll do my best to keep them in order. The first two to arrive at Umihotaru (quite early actually), we’re Idjiri-san and Mr. NH565 aka Sardony-san in their respective Advance built NSX’s. Actually, as I was driving the Kei car with all the supplies through the Aqualine, these two came blasting past us. 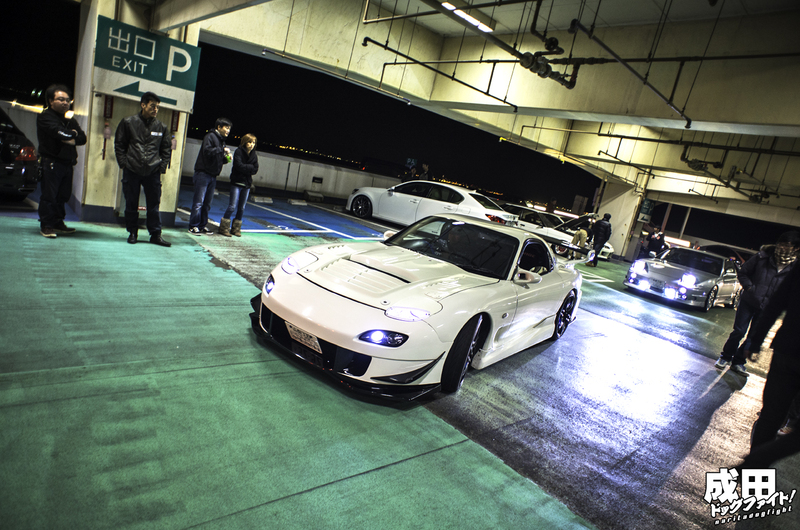 I was unsure if they were going to make it as they were demoing at a meet at the Autobacs in Kawasaki that evening. Our meet was much later though, and the West entrance to Umihotaru is in Kawasaki anyway, they were able to come. Good start, I was excited! If you want to follow this car, he has a very frequently updated Minkara page here. 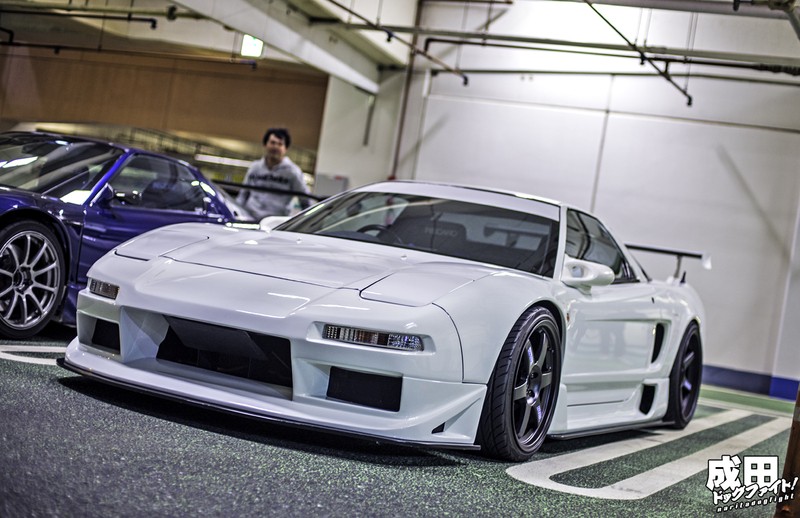 Sardony-san’s white varient; absolutely gorgeous. 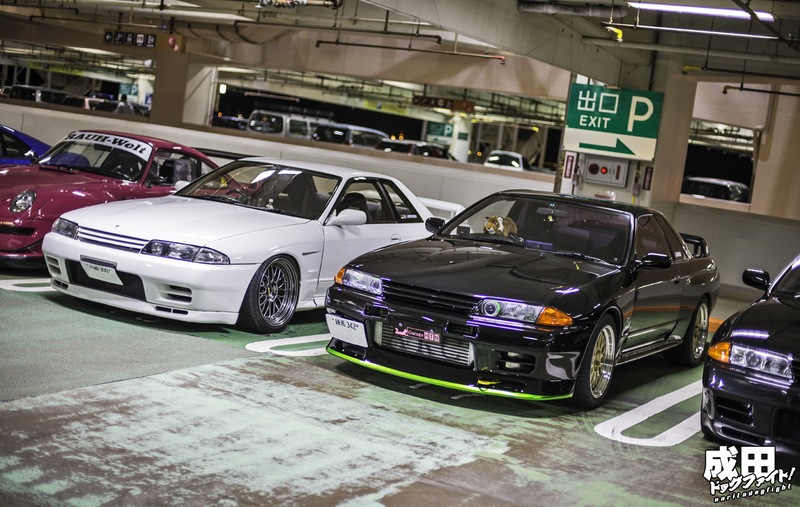 I’ll have more on both these cars a bit later, but if you want to see a little more now, I posted on them a few months ago; you can see the post here. Slowly more and more people started trickling in, and although the meet was slated to start at 10pm, a good portion of the 3rd level was full already by then. 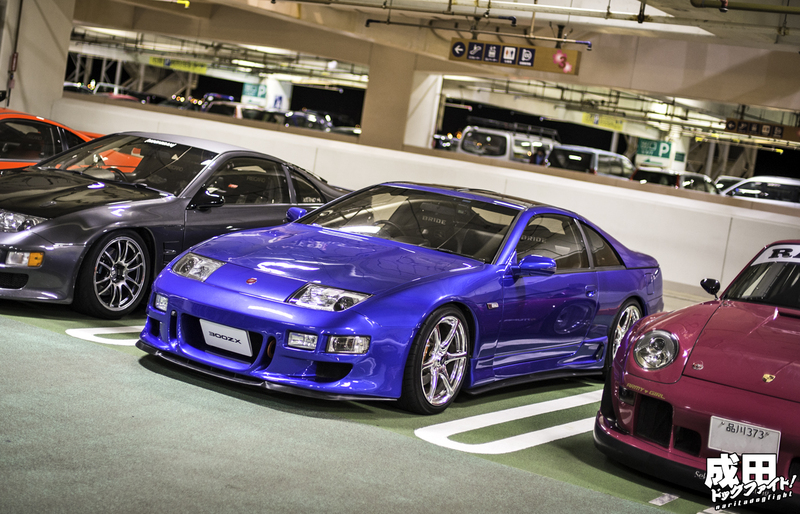 Here’s a shot of Shingo’s very low Z32 parked with some others. 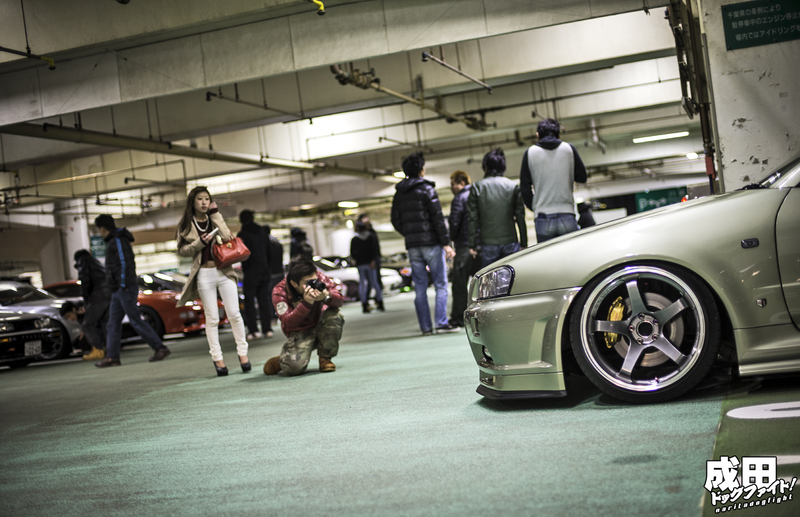 Junya-san’s beautiful Jade Metallic R34 sedan. 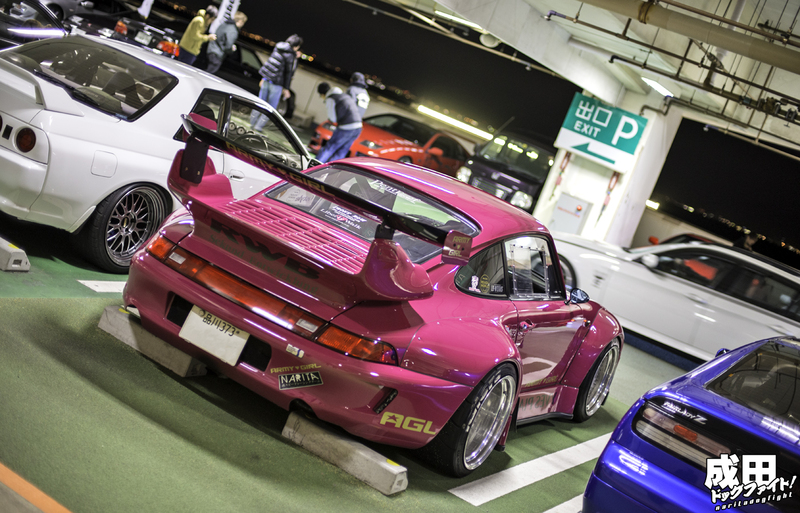 Mr. Go-san’s really cool hatchback. Was glad to finally meet him! Another friend we saw in-route was Yui in her Z33. Good friend and even better enthusiast! 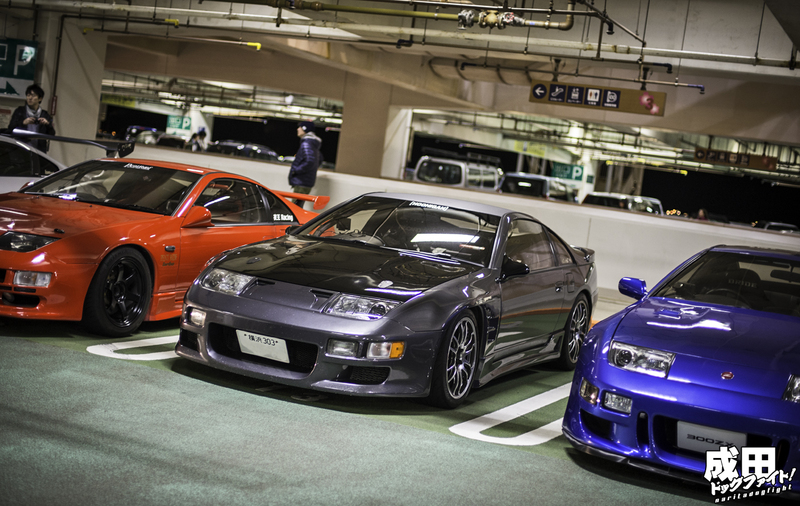 She’s been to pretty much every meeting we’ve ever had, and I’m always glad to see her and her awesome Z.
Yuuji-san’s white Z32 sandwiched between Masa’s Porsche and Yuichi’s Z. Always good to see Masaki-san and his awesome wife まみラン, who actually ended up being a priceless help towards the end of the night during a very, very strange and random situation that happened. Super happy that not only was I able to see Yoshi-kun and his new Noji built 86, but that he also was able to come to the meet. I’ll have more of this later as well. 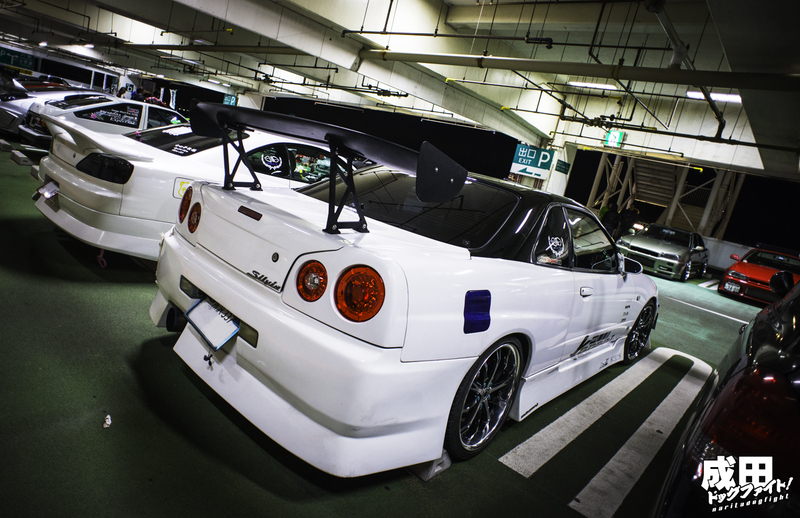 Takahiro-san’s and Norito-san’s white and black R32’s among a couple others that were on the third level. 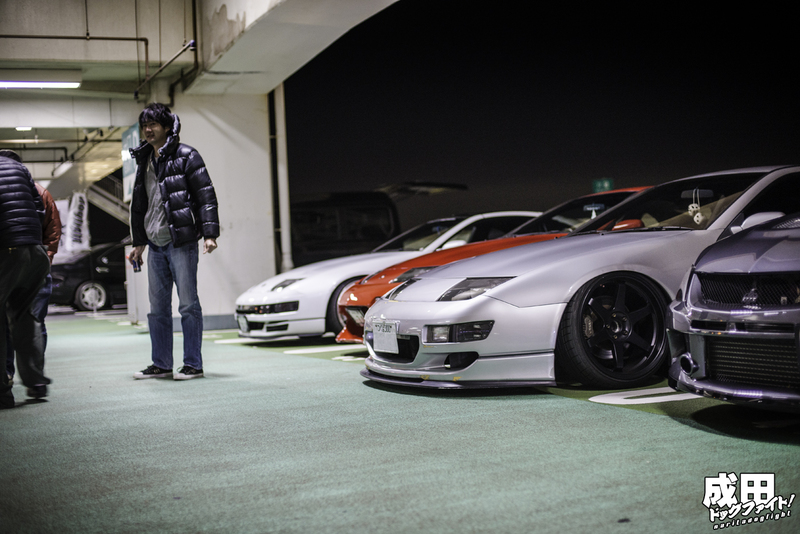 Partially due to Sekinei’s hand in NDF, we’ve always had huge Z car support in Japan, and throughout the years I’ve gotten to meet some people that have built incredibly nice ones. This one has always been among my favorite. These were all taken before 10pm. Before the actual start of the meet, so I was just running around with my camera and no tripod while Matt, Naoyuki, Brilau and Jay helped set the makeshift store front up inside the trunk of Matt’s C35. 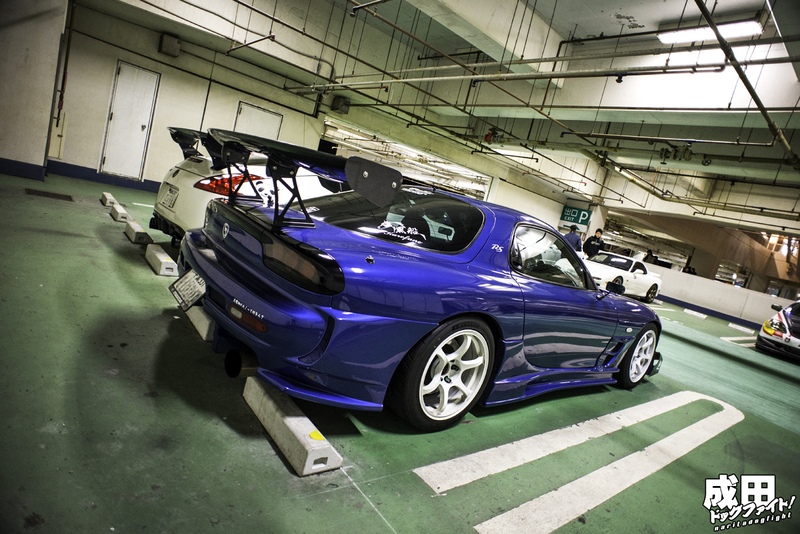 This FD was caught here once before, and is actually offered as a wallpaper on site. 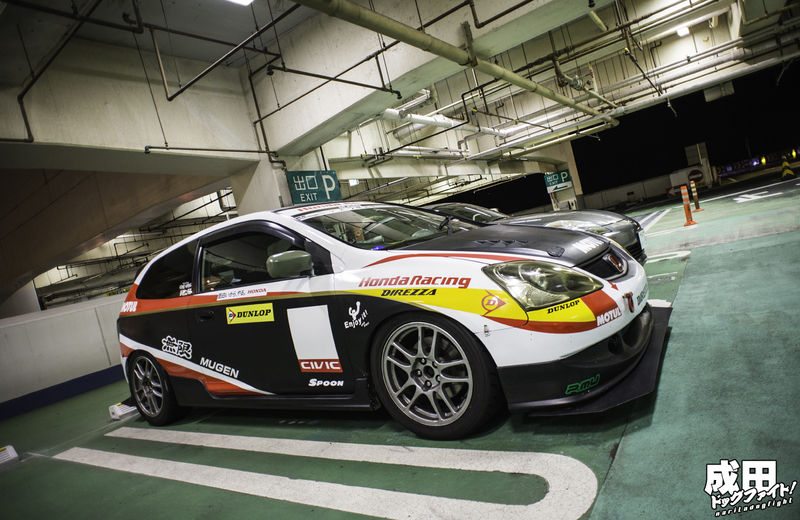 Super cool EP in Mugen livery. …and more just kept coming. At this time there were still a few regular cars in the PA that were either resting, eating, or in the arcade so parking was still at a minimum. It wasn’t until after 11 and all the normal patrons had left that all the spots had opened up. …as a result you get silly shots like this. 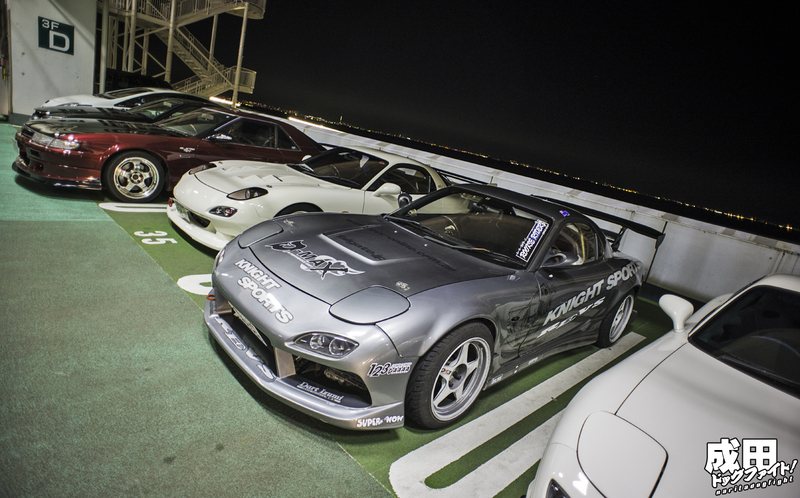 Tomoyoshi-san’s aggresive FD parked between two family vans. I laughed a little when I saw it. 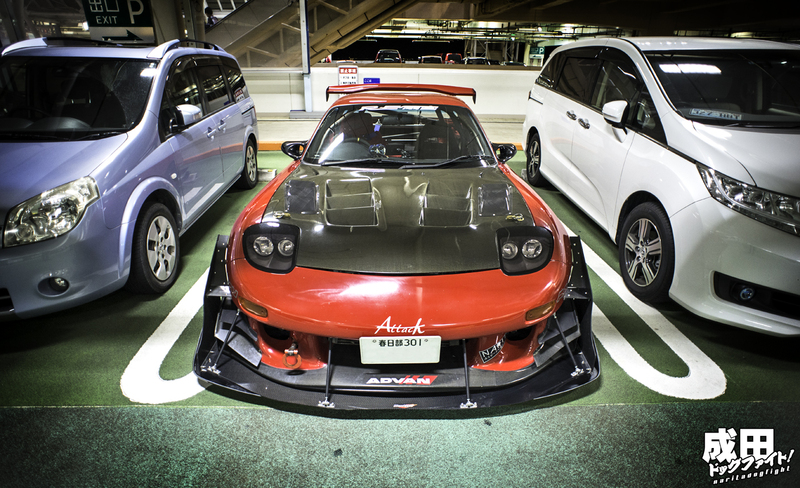 I love how intense that front aero is. 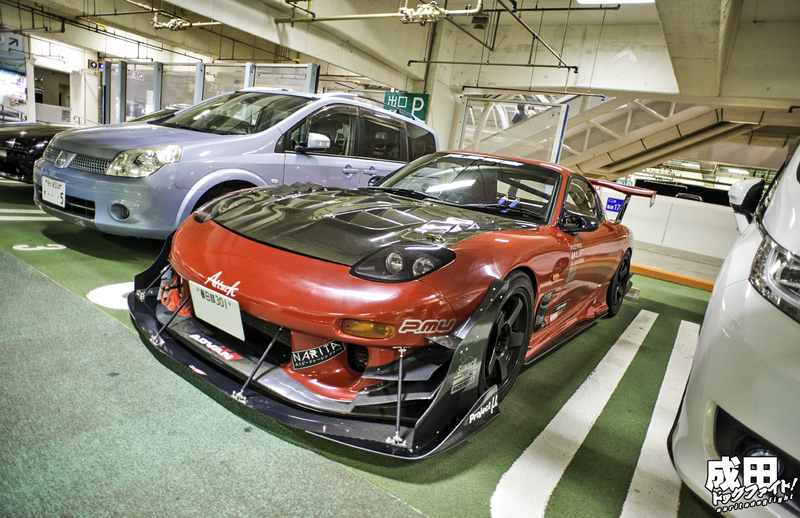 Pretty cool FD on Desmond’s. 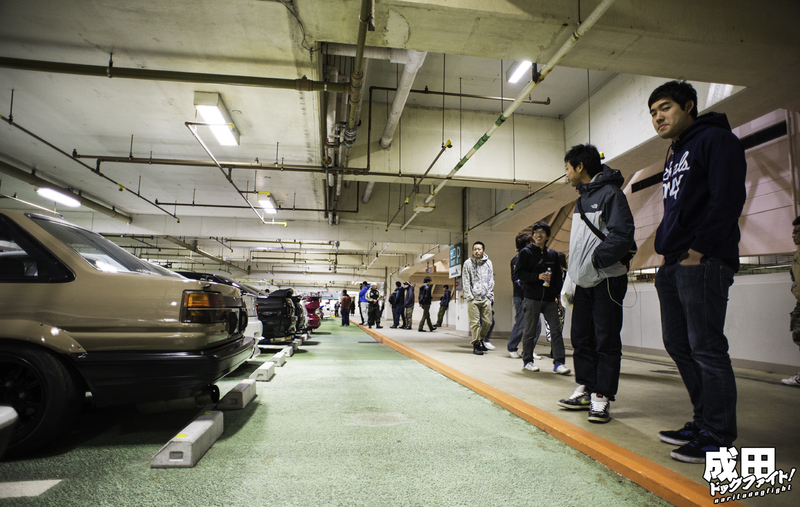 It was good to see people hanging out, walking around, meeting new people, and sharing their cars. I had the opportunity to meet many new people~! 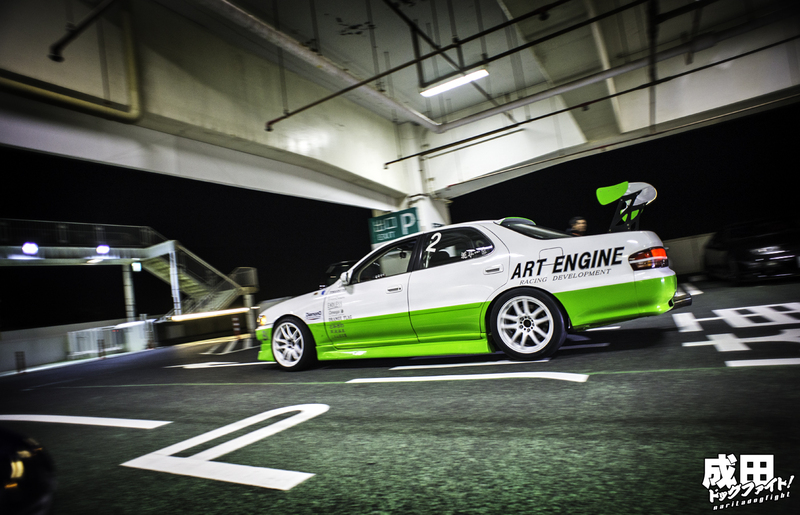 From the 3rd floor entrance I heard two really loud cars and turned to see the bright green and white of Art Engine’s race cars. 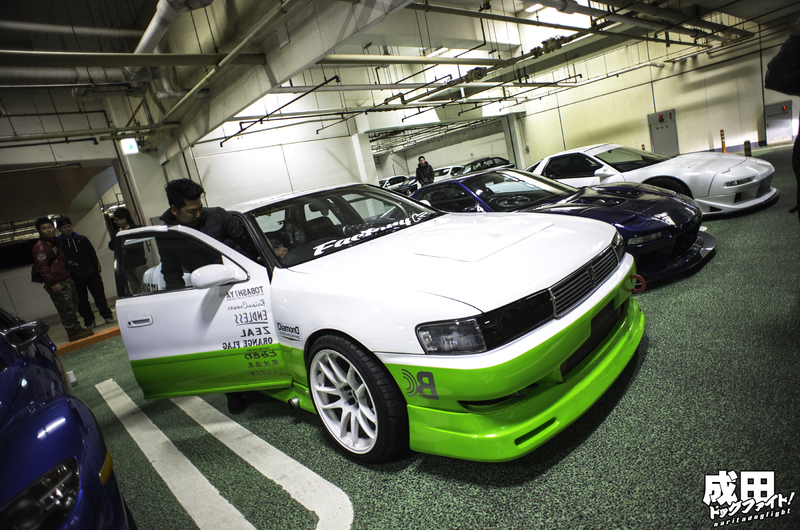 Sakamoto-san had brought his drift spec JZX90 along with his shop mate Kawamura and his S15. We both blew up in laughter when I ran up to him – super excited he came. 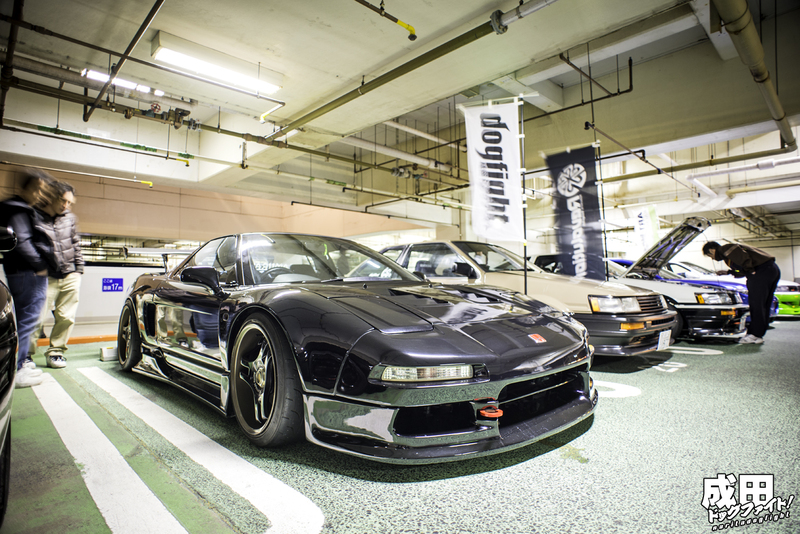 He even brought out some Art Engine nobori flags to accomodate our NDF and Garage Mak ones. Seriously, one of the coolest dudes I know – check out more of his Cresta here. Also nice of Toby to come out as well – it was good to meet him and check out his cool R33. 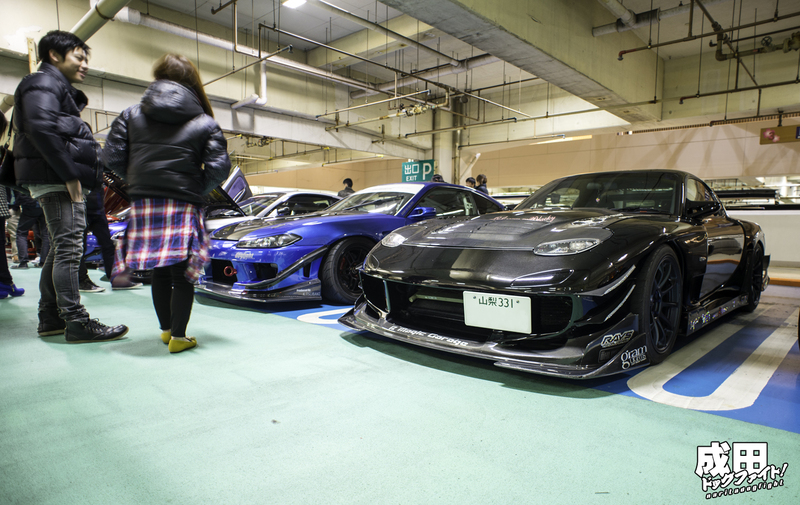 Do you remember Misa-chan’s FD ‘Blacky’ from our Minkara meet coverage last year? If not, you’ll get to see more of it soon. She came with a handful of other FD’s and I was surprised to see her! When I said hi to her I asked if she remembered talking last year and she said of course. She’s made a few changes since then, namely the new ZE40 wheels, which in my opinion match the car much better than the Gram Lights she had on previously. Of course I appreciate everyone who came to the meet, but it still stands that there are some that really went out of their way to attend. 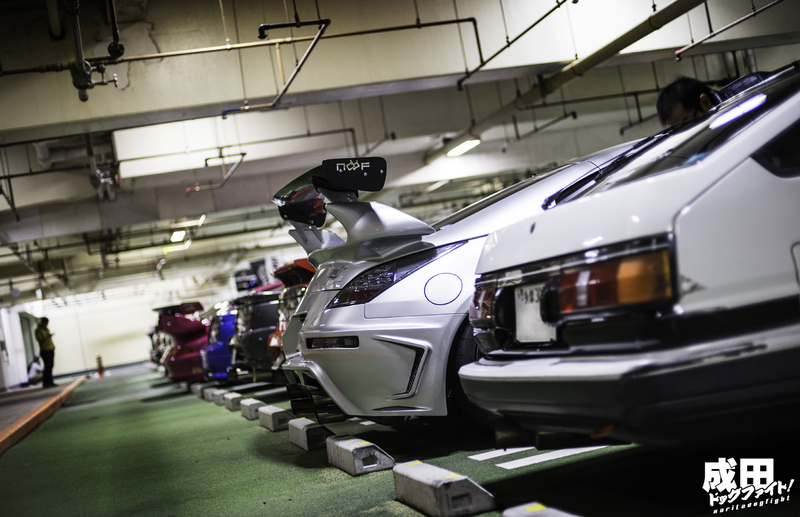 Among them are the shops who towed cars, the Garage Work boys, Hara-san and Ken of CSG, Totsuka-san who towed his car from Shizuoka because his registration ran out the day before, and countless others. 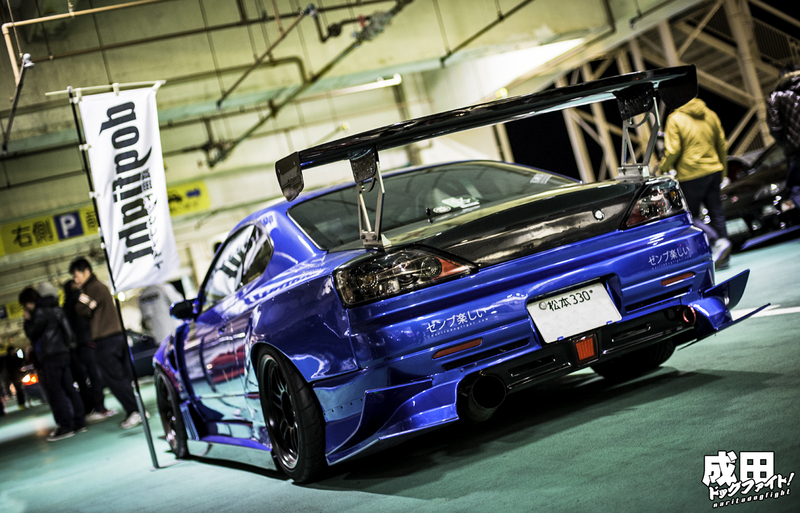 There is however, a group of friends that not only drove 3 cars from Nagano, but worked together with myself to make Tsubaki’s S15 the first ever NDF demo car in Japan. A very simple, blended look that highlights the LINK series with GM, that will stay on through HKS Premium Day in January of next year. I’ve had the pleasure of working with Garage Mak for a good year now, and our first ever LINK collaboration has been very successful. Most importantly though, I’ve gotten the chance to become good friends with them all. Baki, Ame, Seki, and the 所長 brother’s of Mak, Kazunori and Tatsuhiro Miyagawa all made the 4 hour trek from Nagano to be a part of the event and I cannot express how thankful I am. Stay close for more Winter Cafe coverage, as I’ve barely scratched the surface. 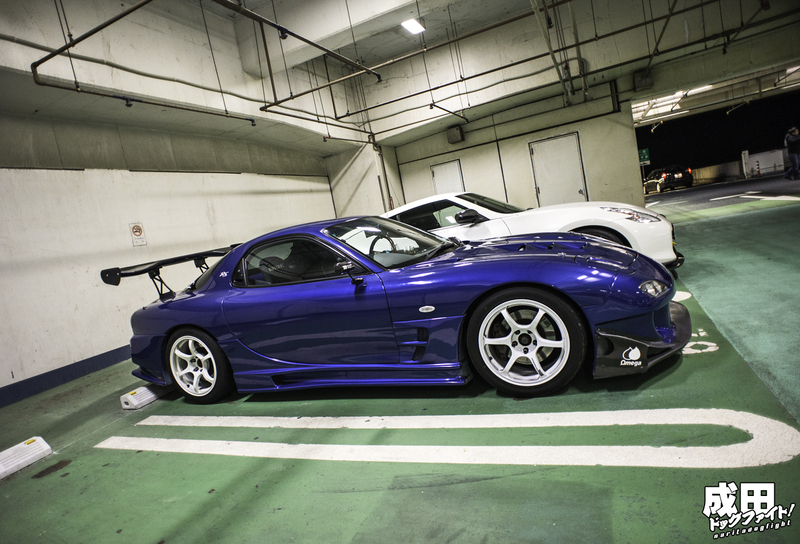 Check out the Wallpaper page for an updated hi-res shot of Amemiya’s and Baki’s S15’s during our pre-meet shoot around Yokohama. 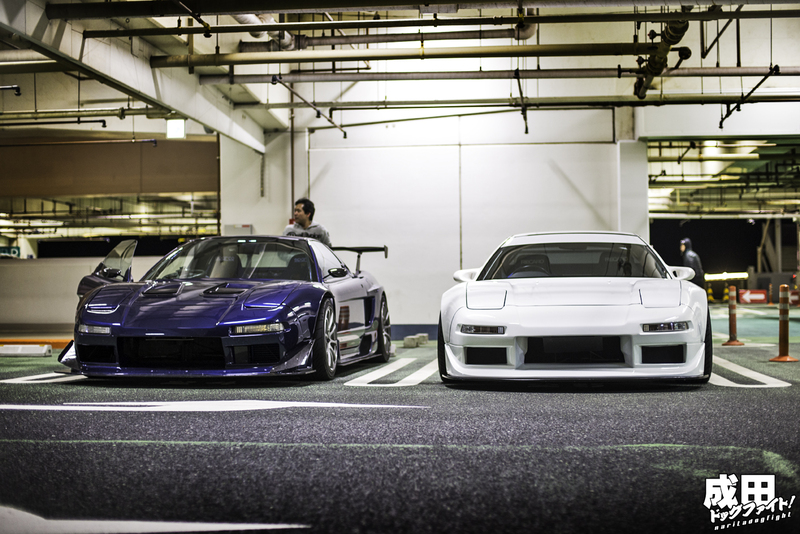 Great shots of some amazing cars. 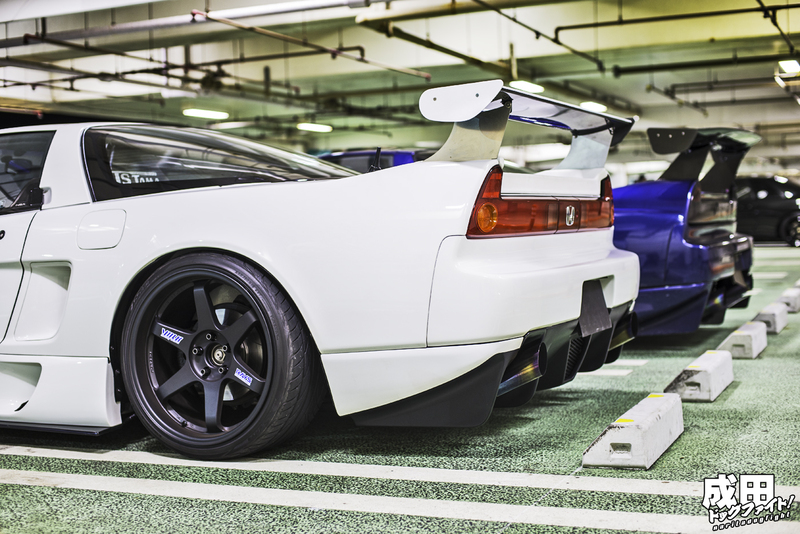 Always cool to see how these meets bring people together over a shared passion. whats that cosmo doign back there? hey dude. I am heading to Japan next week. Where can I meet those guys! ?